Competitors will receive training maps for free if they entry until 30th April 2019. After this date training maps will cost 2 Euros. There is a wide range of accommodation facilities of our partners from guest houses, cottages, a camping site, to very exclusive hotels. We also offer basic accommodation in a gym in own sleeping bags. You will find more information in Instructions of the Competition. We have chosen the most interesting tips for trips and also processed the distance from the centre of the event with GPS coordinates. After 4 stages each participant will receive a commemorative medal with the theme of the competition. The photo is just an illustrative medal. A sport T-shirt with the option to add a person´s name and a club name on the T-shirt. Possibility to order T-shirts for the price € 35/ sizes: SX, S, M, L, XL, children size: 134,140,146,152,158 /. The order is possible through the orienteeringonline.net. Deadline for order and payment is 31st May 2019. SPECIAL OFFER for families: buy 4 T-shirt and get 1 more for FREE. 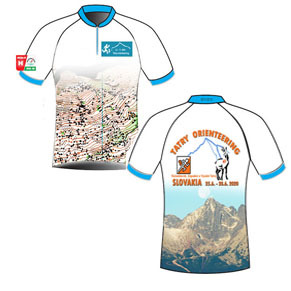 Competitors who will have signed up and paid the entry fee by the end of the year 2018 can order the sport T- shirts for a reduced price: 24 € . The main price for elite runners – a voucher for accommodation in a popular hotel Grand hotel Permon **** with beautiful views from the pool to the most beautiful Slovak mountain Krivan. Hotel Permon organizes a cultural program in an open-air cinema with a live band after the race on Saturday at the centre of the race. 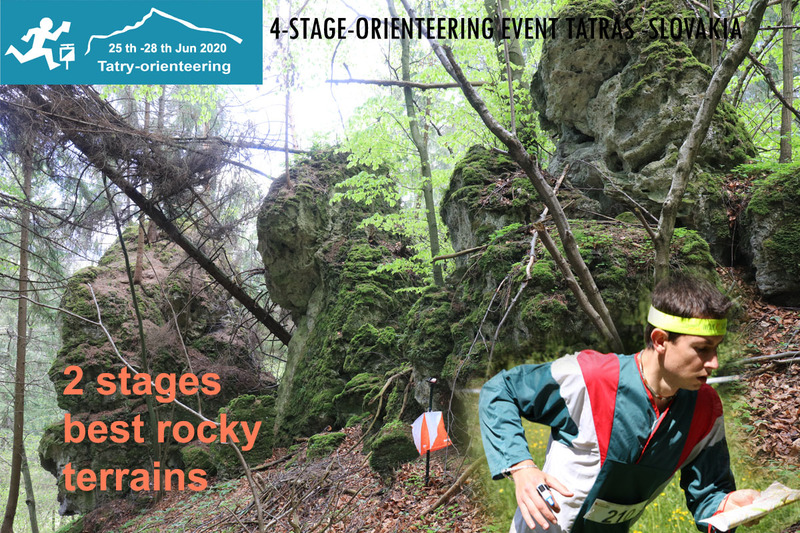 After a successful first and second year, we invite all competitors to the third year of competition in the beautiful environment of Tatra National Park in Slovakia. 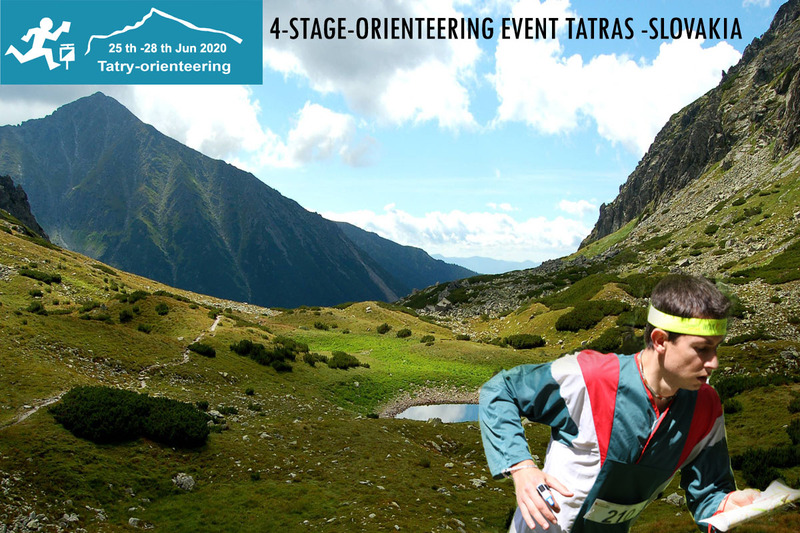 The new location provides a technically beautiful terrain with a beautiful view of the Tatra peaks. Even the best runners experience will be tested during 5 stages of the event. We also invite you to various additional activities: different sports and fun activities or individual training with training maps. Liptov and Tatras region are the most visited regions by tourists in Slovakia. In addition to the race you can visit museums, caves, water parks and many others. Visitors to the event can take advantage of the services of several aquaparks or natural lakes and water reservoirs. 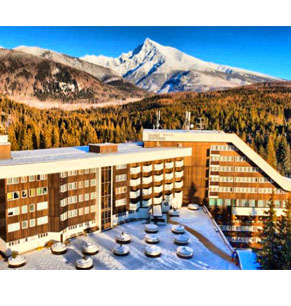 Just a few meters away from the event centre of the Podbansko racetrack there is the very popular Grand Hotel Permon ****, which is a partner of the competition and donates our competition by several prizes. The hotel offers also a wellness centre with the possibility to use and relax after the race. 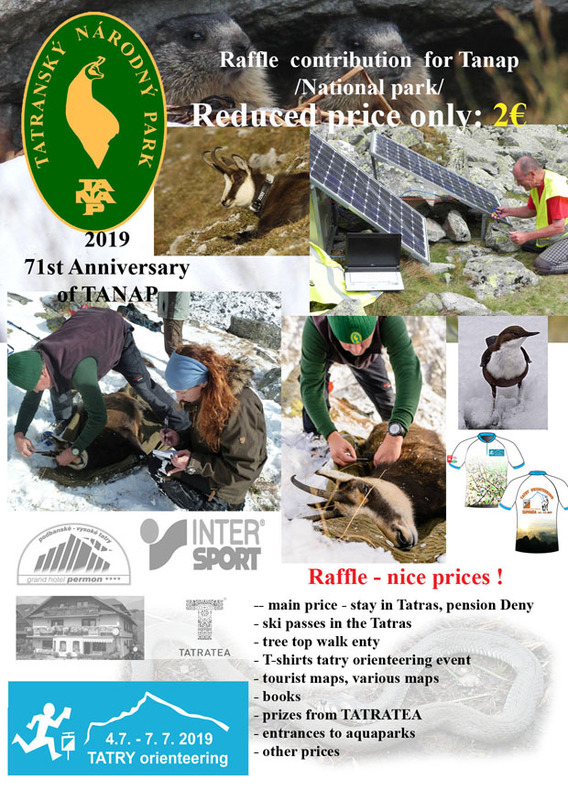 You can buy a raffle ticket for the price of 2 € The financial donation will be given to Tatra National Park / TANAP /. The main drawing prize is a voucher for accommodation in the guest house DENY in the Bachled Valley. For example, when giving 10 EUROS, you will be registered twice for the draw. You can contribute either during the race or in advance by bank transfer to the account number: IBAN: SK44 1100 0000 0026 1095 0264 SWIFT: TATR SK BX The financial gift will be given to TANAP after the race. Other interesting prizes will be added. Raffle reducet price only 2EUR and more prices.